Does anyone know about the 'HP Hexacore' Processor? Looks like it is a quadcore with dual core graphics and probably in line with an AMD A8. Fair comparison? Ouch, this laptop got spanked by the i3! Probably pass on this.. The HP ProBook i5+Radeon co-op deal is better if you don't mind the ballache of sending an old laptop and filling in the cashback forms. If successful it makes it £175.. It's an AMD A8-6410 Beema processor with 6 Compute Cores (which means 4 actual CPU cores (2 CPU modules) and 2 "GPU cores"). Would have to buy before midnight though as the cashback offers are only valid thru April.. I meant pass on the OPs deal. I was on the same page as you in just creating some transparency on what you get for your money. I just posted the other deal in case anyone else is looking to buy and might be interested in the HP. HEXACORE = A8-6410, about the same performance for both CPU and GPU, nothing too exciting. 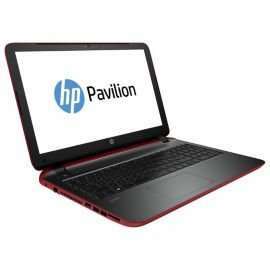 Hi there, as of february 9th 2016 i´ve bought a Hp Pavilion 14" with HP Hexacore processor. Due to all the info about this processor being quite confusing I asked HP Customer Care about the deal, they answered me that HP is building it´s own processors based on development done in HP LAbs in Silicon Valley Ca., and that neither INTEL nor AMD are collaborating in their production line nor are they tasked as outsourcers by HP to build the company branded chips. When asked if there were any actual comparison excersises done with the products of the 2 giants HP CC replied me that there weren´t any official statements on the matter but that for the specs on my machine it should perform as a equivalent to a INtel´s Core i5 6th gen processor. So, don´t know what to believe.